Most people do not want to start on the topic of reviewing their options for Funeral Insurance. The good news is that it is not as daunting as so many make it seem. In fact, many people enjoy comparison shopping when it comes to insurance policies. Premiums that can be fixed or increased every year which vary according to your gender and certain habits, such as smoking and drinking. When premiums are not fixed, you won’t know how much the amount rises in the years to come. This can be tricky, especially if you like to plan your cash flow ahead of time. If you do the math, you will find that premiums can actually add up to around four times the real cost of the funeral. Probably the worst thing about these policies is that as soon as you stop paying, the amount that you did put into the policy is no longer there for you to claim and neither is the insurance coverage on any partial level. Fortunately, there are other suitable options that you can go for, such as life insurance policies, funeral bonds, and pre-paid funeral plan solutions. Funeral bonds are offered by friendly societies and life insurance companies. They require you to make a lump-sum payment and pay in installments. The money is then invested and can be used to cover for a funeral. The bond can either be in one person’s name or a joint agreement between two people. With a joint plan, the benefit is paid at the time of the death of the first owner. There is a great alternative to getting yourself a feasible funeral plan; plain old life insurance! Life insurance works as a standalone policy as well as a superannuation fund. The amount that is covered does not only include insurance for funeral costs, but also results in a payout for the people close to you, especially those who rely on you. The pre-paid option covers either part or all of your funeral expenses. Usually, this is done at current prices. The services that you pay for are covered at the time of death no matter how much the plan costs at that particular time. 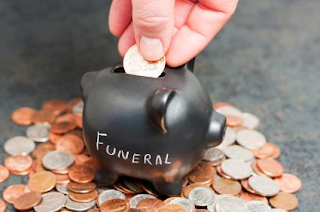 There are plenty of ways you can pre-pay for your funeral through these plans. You can go for Small Contributory Funds where you make regular, small payments. The Pre-Purchases Plan is where you pay for a cemetery plot, the wall niche and the spot in the memorial ground. You pay for the entire funeral in the Pre-paid Funeral Policies. You can even make a deposit to pay installments over time. However, it should be noted that not all services offer a refund when you decide to cancel.